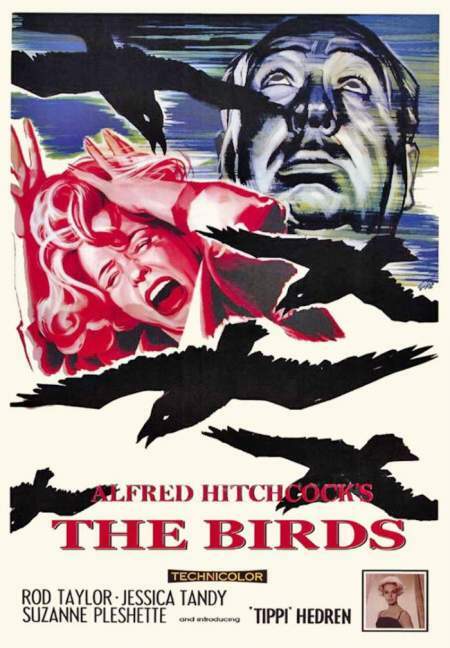 When I ran a poll a little while ago on which three 1001 films I should live tweet, The Birds (1963) was the runaway winner. That was a pleasnant suprise, because even though I ama massive fan of Hitchcock, I have never seen this film. Until earlier today when I did the live tweet. Here are the results. Related beermovie.net articles for you to check out: Live Tweet Review: Night of the Living Dead and My Favourite… Hitchcock film. Interesting take. I like this one a bit more than you, because I think the characters vibrant and interesting. But I totally agree that they forgot the ending. Yeah I couldn’t really get into the characters as much as usual with Hitch. Just didn’t feel fully formed enough for me I think. Love your bunnies by the way! Don’t know if you noticed, there is not one note of soundtrack music in the entire film. The only place there is music is in one scene where Hedrin’s character is playing the piano. I think to build such suspense with no background music is a testament to Hitchcock’s craft. The effects were probably top-notch for the time and the sound effects (juxtaposed with long periods of silence) carry the whole movie. Liked this film way better than you did – It’s probably the first time Hitchcock delved into straight horror (maybe the only time). I didn’t like it as much the 1st time I saw it, but time has shown me what a unique film it is. You know what, I didn’t notice but thinking back that makes sense. Spot on re the sound effects. When they are all barricaded inside the house toward the end and the sound of all the birds starts up, that was one of the most suspenseful moments of the whole film. I’ve never seen this moving, but it was interesting reading your play by play opinions on it. Cute bunnies btw. Will you watch the TV sequel? Thanks for the compliments on the bunnies. I wouldn’t mind checking out the sequel if I can get a hold of it. Could be a lot of fun. Great post! Also just checked out your Worth Watching for March! Solid month.